Outlandish Observations: THE SCOTTISH PRISONER wins an RT Award! 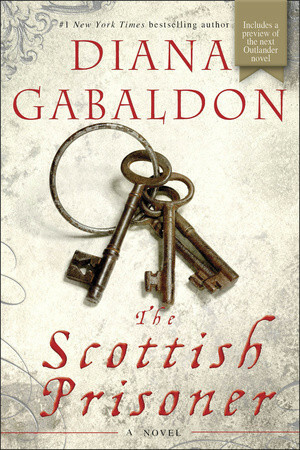 Diana Gabaldon's THE SCOTTISH PRISONER has won RT Book Reviews Magazine's 2011 Reviewer's Choice Best Book Award for Historical Fiction! Congratulations, Diana! This is the same magazine that interviewed me about a year ago for OUTLANDER's 20th Anniversary. You can see that interview here if you're interested. If you haven't yet read THE SCOTTISH PRISONER, I highly recommend it. The trade-paperback edition (that's the large size paperback, pictured above) will be published on May 29, 2012. I am actually "reading" it a second time but on CD. I am really getting a lot more of the subtlety of the writing. I think I read it too fast the first time. I am not as fond of the reader, but he does a fair Scottish accent. I am not surprized it won the award I wholeheartedly agree.